Kavita Kaushik takes her yoga seriously and the actor's latest obsession is beach yoga. 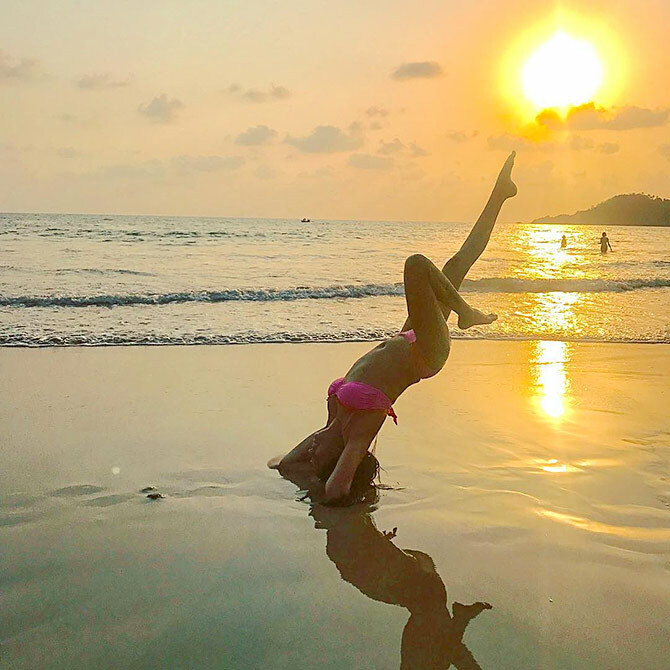 She took to Instagram to share pics of her doing acro-yoga on the beach with her hubby Ronnit Biswas. Kavita attempts a yoga pose as she balances on Ronnit's back. Who is the strongest of the two? Couples who do yoga together, stay together. Bend. Stretch. Pose like Kavita. Can you? How hot is Kavita Kaushik!